Search Engine Optimization (SEO) employs a wide variety of strategies that are designed to improve a site’s ranking in the Search Engine Result Pages (SERPs). Over the years, there has been a lot of manipulation of search results and the search engines have responded by upgrading their algorithms. These updates are designed to penalize those who abuse the system and use black hat or spammy methods to obtain a higher ranking in the SERPs. Some strategies like buying links, cloaking and keyword stuffing were commonplace and in many cases did help improve a site’s ranking. But these types of practices are considered black hat now and can get a site penalized so badly that they fall off the result pages altogether. 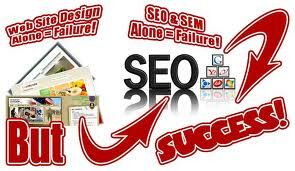 By using SEO best practices and ethical strategies a site can obtain a ranking near the top of the SERPs. But since it’s not an exact science, is there any way to predict the results? Obtaining a high ranking in the SERPs is not an exact science and it is certainly not something that will happen instantly in most cases. For one thing, SEO is an ongoing process that never ends. An SEO professional can make some changes to a site or page so that it starts getting noticed by the search engines, but the process is never completely done. For instance, adding fresh, unique content to a site or blog is just one part of good SEO practices; but for it to be effective, it must be done regularly. Usually when one starts optimizing a site these changes will start slowly filtering into the system and the site moves slowly up in the search engine rankings. SEO best practices can be equally effective on a site that already exists and on one that is being constructed. But there is no guarantee of exactly where a site or page will land in the SERPs once it is in the optimization process. It can be a slow crawl to the top, or in some cases it might be more dramatic and you’ll get first page placing. While there is no way to know precisely how fast or how far a site is going to move up in the search results, there are some methods and strategies that are likely to help with better positioning. There are many analytical tools such as Google Analytics that can help monitor a site. For instance, start with a baseline measurement of where the site is presently. There are four metrics presented by Google Analytics that help assess how a site is doing as far as traffic is concerned: Impressions, Clicks, Average Position, and click through rates. These can be very useful for determining a baseline in the beginning and improvements in the site’s ranking on an ongoing basis. Conversions are perhaps the primary way to measure how successful an SEO campaign really is. Conversions are directly tied to specific goals for a site. Perhaps one goal is increasing leads. This might include activities such as: quote requests, phone calls, appointment requests, or contact requests. It is also important to have a system through which monetary values of conversions can be assessed. You can also determine the lifetime value of a customer or client. It’s important to consider both the initial purchase or contact as well as the future, repeat purchases or contacts in order to get a better picture of what is being received based on the initial investment. When a business shows up at the top of search results, it can mean a huge financial difference. And any business owner or website owner knows that the proof is in the numbers. While no one can really predict exactly what effect SEO strategies may have on a site, following SEO best practices will greatly increase the likelihood that your website will rank on page 1 for your desired keywords and that the people who find your site in search results will convert into clients or buy your product.